Maurice Gee. Gee, Maurice, photograph. Reproduced by permission. Maurice Gee is an award-winning author of fiction for both children and adults. His writings reflect a strong sense of New Zealand life, providing insight into his country’s politics and ideals. He was little recognized outside of his native country until the publication of his novel Plumb, which won the 1978 James Tait Black Memorial Award. Gee’s short stories are primarily byproducts of his novels, and today they rank among the finest stories in New Zealand literature. Childhood in New Zealand. Gee was born in 1931 in Whakatane, New Zealand. He grew up in the small town of Henderson, outside of Auckland. Gee was to use the simple town’s environment for the setting of most of his future stories and novels. Gee was educated at Henderson School, a public institution that also finds it way into many of his stories. From there, he entered Avondale College, where he took an MA in English in 1955. It was at college where he began writing and publishing short stories—the first of which, ‘‘The Widow,’’ was published in 1955 in the magazine Landfall. In this time period, New Zealand was undergoing political change. In 1947, the country became completely autonomous from Great Britain. (New Zealand had been a colony of Great Britain, formally founded in the mid-nineteenth century.) As an autonomous nation, New Zealand became more intertwined with American foreign policy after the end of World War II and signed the three-way defense ANZUS (Australia, New Zealand, United States) Pact with Australia and the United States in 1951. Later, New Zealander troops fought in both Cold War, anti-Communism conflicts in Korea in the early 1950s and Vietnam in the 1960s through early 1970s. A Writing Apprentice. Although Gee had always desired to be a writer, he took a job teaching in Paeroa after graduating, thinking this was the only way to make a living. But he did not care for teaching and spent every free hour he could writing. In 1961, he won a grant from the New Zealand Literary Fund and continued teaching and writing in England. The country Gee went to was being transformed as Great Britain was dealing with the impact of the loss of its empire as many of its colonies gained independence in the post-World War II period. As a result, the British economy was in decline at this time. For the next ten years, Gee learned to write—to find his writing voice, develop his style, and establish an audience. He published eleven stories between 1955 and 1961, the years leading up to his first published novel in 1962. First Novels Published. Even though the mid- to late 1950s marked his apprenticeship, Gee’s early stories still were considered significant. After ‘‘The Losers’’ and ‘‘Eleventh Holiday’’ established him as a serious writer and created an audience for him, he began writing novels. His first novel, The Big Season, came out in 1962. This was followed by two works that won New Zealand Literary Fund Awards of Achievement: A Special Flower (1965) and In My Father’s Den (1972). From Librarian to Full-Time Writer. For several years, Gee held several jobs, among them a position as a librarian. Although the job added stability to his life, he found himself once again frustrated as all the books distracted him from his own writing. In 1976, he quit the library to write full time. That same year Games of Choice was published, followed by a series of novels for adults that marked for the writer a new level of literary accomplishment—an ambitious trilogy of novels about the Plumb family. Plumb (1978) and its sequels, Meg (1981) and Sole Survivor (1983), have many ingredients of his earlier novels: With some religious and domestic flavor, the three books produce a saga on New Zealand life, focusing on its history and society succumbing to decay. The characters are outsiders and outcasts. They are defined by and ruined by idealism, materialism, and corrupt politics. These same kinds of characters reappeared in a number of other Gee novels, both for adults and younger readers, including The Burning Boy (1990), the Deutz Medal for Fiction-winning Live Bodies (1998), and the award-winning thriller The Fat Man (1994). By this time, New Zealand had developed a reputation for intense environmental concerns, including a 1984 ban on nuclear-armed vessels in its harbors, which damaged its relationship with the United States. Continued Success as a Novelist. In the early 2000s, Gee continued to publish novels for both younger readers and adults. In 2001, he published Ellie and the Shadow Man, for young adult readers, followed by two novels for adults, The Scornful Moon: A Moralist’s Tale (2003) and Blindsight (2005). He continues to live and work in New Zealand. Neil Armstrong (1930-): American astronaut, professor, test pilot, and naval aviator, who, in 1969 was the first person to set foot on the moon. Kurt Vonnegut Jr. (1922-2007) One of America's most respected, influential novelists, he is perhaps best known for his novel Slaughterhouse Five (1969). Elgar Howarth (1935-): English conductor and composer, this former trumpet player has made significant contributions to brass band music. Toni Morrison (1931-): Widely respected, she was the first African American woman to win the Nobel Prize for Literature. Among her best-known novels are The Bluest Eye (1970) and Beloved (1987). Joe Orton (1933-1967): English satirical playwright, he wrote risque? black comedies such as Entertaining Mr. Sloane (1964) that shocked and amused his audiences. John Updike (1932-): American writer of small-town, Protestant, white middle-class subjects, he has twice won the Pulitzer Prize, for Rabbit Is Rich (1981) and Rabbit at Rest (1990). Gee’s stories are often set in fictionalized versions of his childhood hometown and the surrounding area, giving his stories a distinctive sense of place. The influence of Henderson and Henderson Creek have especially influenced Gee’s novels, which are set in New Zealand’s past and through close observation chronicle how his country’s politics and ideals have evolved over time. Science fiction also held appeal for Gee. His interest in writing fantasy science fiction began when he borrowed a book, The Weirdstone of Brisingamen (1960), from a friend. His first effort in the genre is Under the Mountain (1979), the creepy tale of giant alien worms that live under an Auckland volcano and plan to turn Earth into a giant mud ball so it is more to their liking. Realist Style. Outside of fantasy science fiction writing, Gee’s art and his vision have both developed out of the tradition of critical realism of Frank Sargeson and the other writers of that generation. As in Sargeson’s stories, Gee’s offer a clear-cut division between the more individualistic and imaginative outsider and the repressive puritan majority. For example, in ‘‘Eleventh Holiday,’’ Gee pits the persecuted young Frank Milich against the middle-aged, middle-class ‘‘regulars’’ at Mayall’s Cottage Resort. In Gee’s stories, the characters are important as individuals responding to larger moral issues. They are important as vehicles of the themes; more important this way than they are as social ‘‘types.’’ It is in the creation of character in its moral dimensions that Gee excels and earns his place as a significant contemporary writer of New Zealand critical realism. The Catcher in the Rye (1951), a novel by J. D. Salinger. This novel is a cult classic for its protagonist, the angst- ridden teenager, Holden Caulfield. Hadrian the Seventh (1904), a novel by Frederick William Rolfe. This novel features the eccentric, chain-smoking George Arthur Rose—in line for the priesthood but who becomes a candidate for the papacy. Of Mice and Men (1937), a novel by John Steinbeck. Although often placed at the top of censors' lists, this novel is profound in its exploration of mental and social disability. The Stranger (1942), a novel by Albert Camus. In this existential novel, the protagonist, Meursault, is less than sympathetic from the start. To Kill a Mockingbird (1960), a novel by Harper Lee. In this novel, human dignity is nearly destroyed but is restored when the humanitarian lawyer Atticus Finch goes to court. Gee has been widely praised for his keen depictions of past and present New Zealand landscapes and societies as well as for his compelling, well-rounded protagonists and supporting characters. Fellow realist Maurice Shadbolt has praised Gee’s work for the way in which it captures the ‘‘sight and sensation’’ of life in contemporary New Zealand. ‘‘Each of Gee’s novels bountifully gives us a rich vision of some region and aspect of New Zealand life, and of human life in general,’’ added a contributor to The Oxford Companion to New Zealand Literature. Gee has met with equally warm reception for his young adult literature, such as the ‘‘O’’ trilogy. The “O” Trilogy. Gee’s ‘‘most ambitious fantasy work for young adults’’ is the ‘‘O’’ trilogy—composed of The Halfmen of O (1982), The Priests of Ferris (1984), and Motherstone (1985). The trilogy involves young protagonists who travel to a fantasy world to help restore the balance between good and evil. The character development and the treatment of the morality theme have prompted some reviewers to compare the trilogy to C. S. Lewis’s Chronicles of Narnia. 1. Read Gee’s book Salt. Write a review on the book, explaining the symbolism of the fantasy world and its inhabitants. 2. Research realism and critical realism as literary genres in order to come up with a working definition. In your definition, consider the following points: What are the characteristics of realism? What are the additional characteristics of critical realism? How do the two overlap? How does your favorite Maurice Gee story fit the definition? 3. Use the Internet or library and investigate New Zealand—its history, geography, culture, and people. In a small group, discuss how knowing more about New Zealand helps readers understand a Gee work. Robinson, Roger and Nelson Wattie. The Oxford Companion to New Zealand Literature. Auckland, New Zealand: Oxford University Press, 1999. Bennett, David. Review of The Priests of Ferris. Books for Keeps (November 1987): 23. Crouch, Marcus. Review of The Priests of Ferris. Junior Bookshelf (December 1985): 276. Ficociello, Tony. Review of The Halfmen of O. School Library Journal (September 1983): 134. Hanley, Karen Stang. Review of The Halfmen of O. Booklist (July 1983): 1400. The Arts Foundation of New Zealand. 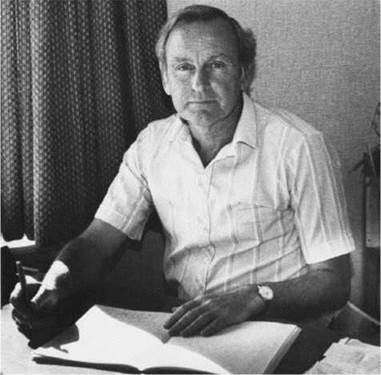 Maurice Gee, Writer. Retrieved March 31, 2008, from http://www.artsfoundation.org.nz/maurice_gee.html. New Zealand Book Council. New Zealand Writers: Gee, Maurice. Retrieved March 31, 2008, from http://www.bookcouncil.org.nz/writers/geem.html. The Wee Web Authors and Illustrators Archive. Maurice Gee. Retrieved March 31, 2008, from http://www.theweeweb.co.uk/public/author_profile.php ?id=891.